BSBCL is a Government of Bihar undertaking corporation created under the aegis of Registration, Excise and Prohibition Department Government of Bihar. The formation of BSBCL was approved by the Cabinet on 25th March 2006. BSBCL has been incorporated under the Companies Act 1956. 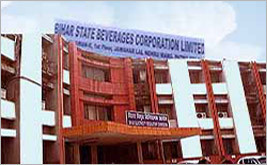 Corporation started its operation from 1st October 2006.